Copy of REQUEST A SCREENING! — Hare Krishna! Copy of REQUEST A SCREENING! Theatrical On Demand® is currently only available in the USA. Here’s where you can ignite a spiritual revolution, just like Swami Prabhupada! Customize a screening at a theater near you to make it a special spiritual cinema event for your own community. With times of growing world complexity, there has never been a more important need to bring the power of a spiritual cinema to your community! 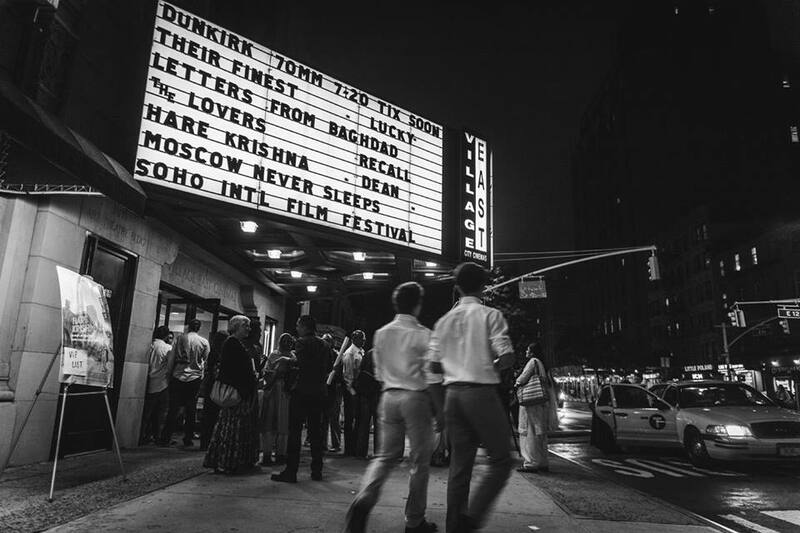 We are giving the power of screening Hare Krishna! directly to conscious living communities by partnering with Gathr, a new Theatrical on Demand (TOD) platform. Think of it as a new vehicle for modern day film activism! Where you don’t have to wait or hope for more purposeful films to reach you, but rather, Gathr your own audience and fan the flame of a growing spiritual revolution. Check the map to the left to see if there’s an existing showing of the film in your city. You can either enter in your location, or click on the green dots if they appear over your town. If a screening is listed, follow the instructions to purchase a ticket and help promote it. If there isn’t a screening near you, proceed to step 2. Simply click “Captain It!” below to host a screening in your town. It will take you to the Theatrical On Demand screening request form to captain your screening. This takes about 2 minutes to fill out and is totally free. Once you submit the completed form, you will receive a confirmation email from Gathr welcoming you to the screening team and providing you with all the resources you need to make it a success! This is where the Captain’s come in. With our help, Captains will manage their own crowd sourced spiritual cinema campaign, share the event on Facebook and network to publicize the screening in their local community. Captains are notified as tickets are sold as well as have access to a screening page for monitoring the progress of the screening ticket sales. Outreach Guide and Toolkit: You can download our Movie Captain Guide and Toolkit that includes tips for screening success, as well as all the resources necessary to support your outreach and promotions. There is a variety of information and materials which you can pick and choose from to compliment your individual campaign. Click here to download! Facebook Captain Networking Group: You also can join the private Facebook Captain page to share your ideas and inspirations, as well as pose any questions you may have to other Movie Captains. Click here to join!